Fortunately, about 1,000 Cherokee escaped to the North Carolina mountains. Others who lived on individually owned land (rather than tribal domains) were not subject to removal. Those lucky enough to have not been evacuated would eventually form new tribal groups including the Eastern Band Cherokee, based in North Carolina that continues to exist today. Two routes were utilized to move the thousands of Cherokee. The first of three detachments, totaling about 2,800 people, left on June 6th by steamboats and barges on the Tennessee River at present-day Chattanooga, Tennessee. After several transfers, including a short railroad detour, they at the mouth of Salisaw Creek near Fort Coffee on June 19, 1838. The other two groups suffered more because of a severe drought and disease (especially among the children), and they did not arrive in Indian Territory until the end of the summer. The rest of the Cherokee were not so fortunate, forced to travel to Indian Territoryon overland trails. For those forced to march by land, the Cherokee petitioned for a delay until cooler weather would make the journey less hazardous. Chief Ross, who had finally accepted defeat, also managed to have the remainder of the removal turned over to the supervision of the Cherokee Council. Organized into detachments of 700 to 1,600 people, each was headed by a conductor and an assistant appointed by Chief John Ross, the marches began on August 28, 1838 consisting of thirteen groups. The most commonly used overland route followed a northern alignment, while other detachments followed more southern routes, and other slight variations. The northern route began in Tennessee, crossed southwestern Kentucky and southern Illinois. 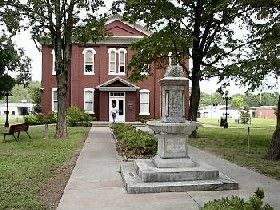 After crossing the Mississippi River north of Cape Girardeau, Missouri, these detachments trekked across southern Missouri and the northwest corner of Arkansas before arriving in Oklahoma near present day Westville. Along the 2,200 mile journey, road conditions, illness, cold, and exhaustion took thousands of lives, including Chief John Ross’ wife, Quatie. Though the federal government officially stated some 424 deaths, an American doctor traveling with one the party estimated that 2,000 people died in the camps and another 2,000 along the trail. Other estimates have been stated that conclude that almost 8,000 of the Cherokee died during the Indian Removal. When they finally reached Oklahoma, the groups were often met by US. troops from Fort Gibson and the Arkansas River. Most of the Cherokee went to live with those who had already arrived, settling near present-day Tahlequah, Oklahoma. Problems quickly developed among the new arrivals and those Cherokee who had already settled. Reprisals were taken against the group who had signed the Treaty of New Echota leading to the assassinations of Major Ridge, John Ridge, and Elias Boudinot. Only Stand Watie eluded his assassins. As these problems were resolved, the Cherokee proceeded to adapt to their new homeland, reestablishing their own system of government. The population of the Cherokee Nation eventually rebounded, and today the Cherokee are the largest American Indian group in the United States. In the end, members of the Choctaw, Chickasaw, Creek and Seminole Nations suffered the same fate as the Cherokee. 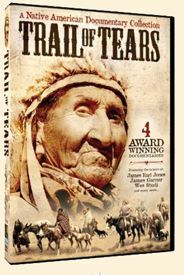 Considered to be one of the most regrettable episodes in American History, the U.S. Congress designated the Trail of Tears National Historic Trail in 1987. Commemorating the 17 Cherokee detachments the trail encompasses about 2,200 miles of land and water routes, and traverses portions of nine states. The National Park Service, in partnership with other federal agencies, state and local agencies, non-profit organizations, and private landowners, administers the Trail of Tears. © Kathy Weiser/Legends of America, updated August, 2017.